First things first! You need to download all forms for your portfolio and do a quick read over to be familiar with what is needed for all forms. This amazing power point eCourse is a great review on all angulations for any area of the mouth. It will also show you different systems that could be used in a dental office with a brief history. Sometimes patients may have questions and a brief history will help you answer where radiographs come from and how they are made. 1. I am planning to improve my Dental Hygiene Practice By..."Learning how to recognize different types of stain and prevention"
2. I am planning to improve my Dental Hygiene Practice By..."Reviewing the most common medications clients are taking and understanding the correct spelling, what they are used for, side effects and different uses"
See the above for two goal examples - these are meant to be EXAMPLES, you do not necessarily have to use them for your portfolio. New goal examples will be uploaded to each month of mentorship. As for tax burdens, many employers of temporary hygienists would prefer to withhold no taxes, because this saves them paying the employer’s portion of FICA and Medicare, which amounts to 7.65 percent of wages. (The total is 15.3 percent, half of which is paid by the employee.) However, the whole idea of whether to withhold taxes or not should be based on the employment status of the person providing the service. I remember one doctor telling me that he didn’t need to withhold taxes, because I was considered an “independent contractor.” Since I was not a regular employee in his office, I figured he was correct. Actually, he was incorrect. Consider the Canadian alternative — a professional portfolio. Did you know that most Canadian hygienists don't have to go there anymore? Since 1999, more than 7,000 Ontario hygienists have been self-regulated through the College of Dental Hygienists of Ontario (92 percent of Canadian hygienists live in Ontario). An obvious benefit of self-regulation is the ability to set your own standards for professional development. According to Eleanor McIntyre, RDH, MEd, director of quality assurance for the CDHO, the idea of self-regulation for health professionals began with the Schwartz Commission in the 1980s. She said the "consensus-building project" faced a mandate "to protect the public." Read the article here :). Change is here. It is needed and it has already started. Ask any dental hygienist on any career path, and chances are they’re aware that our profession is moving toward a new horizon. It is full of new opportunities, advanced technology, modified scope of practice, and new ways of implementing dental hygiene services. It has been noted in many forums, research notes, and educators’ symposiums that dental hygiene needs to adapt itself to the changing needs of the public, including the long-time effects of a graying population and adjustments in public health-care systems. We will discuss some of the needed changes here. 1. I Haven't Got Time For This Pain! 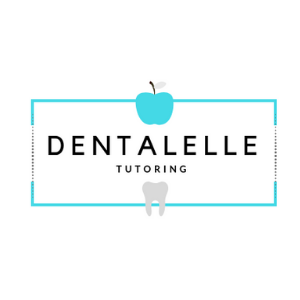 In this section of the Professional Portfolio, dental hygienists in a clinical practice environment are required to provide specific information regarding the client base, dental hygiene services rendered and the time frame in which these services are delivered. You are required to submit a separate Form 4 for each current practice. Please note that there is a separate form for dental hygienists working in orthodontic practices. In addition to the Typical Day Form, you may wish to include an actual day sheet that notes the interventions you completed for each client. Please remove the clients’ names to protect their confidentiality. 5. Write down how you write in the clients charts and what you do. The colour ink you use, etc. 7. Another common mistake - RDH's that use the clients name when writing the typical day. Never use any names! Your goal this month should be to complete your typical day :). Done! You have the hardest part over with the first month of the year. Is there a goal you have in mind or something you want to learn but having trouble doing the research for it? Let me help! Email me with something you want to learn and I will do the research for it - and include it with our mentorship program.